Watching a baby sleep soundly is one of the most blissful experiences for a new parent. Not only does the baby’s innocent face and beautiful expressions make it a treat to watch, but also gives the parents some much-needed time to catch a breath and relax. Adjusting to your newborn’s sleep schedule can be a challenge. The frequent wake ups and feedings are a lot to juggle but learning a bit more about how baby sleep works and understanding how your baby’s sleep will change over time can be a big help. For example, most parents don’t know that babies take 20 minutes (or even more!) to attain deep sleep, or her sleep patterns won’t begin to settle until 3-6 months old. However, your baby will be napping for upwards of 60 minutes at a time until 2 months old, and there are things you can do to help lull your baby back to sleep when they wake prematurely. 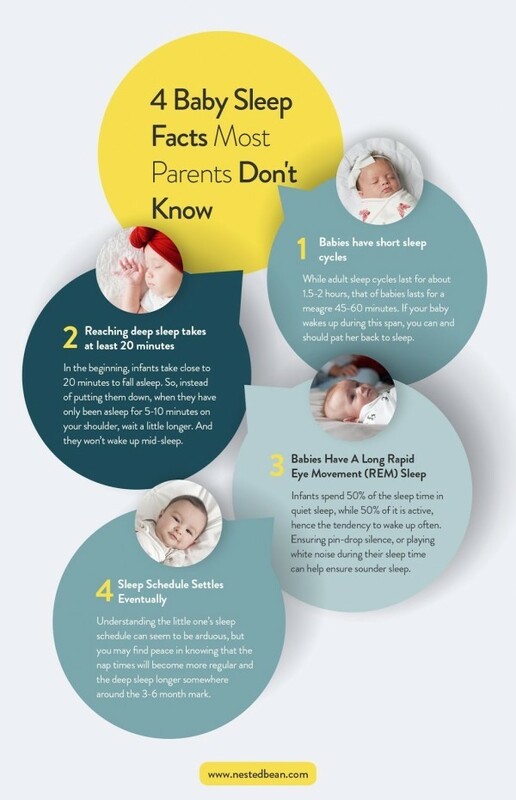 Knowing what to expect from your baby’s sleep patterns can help new parents prepare. Technologist. Engineer. Inventor. One lucky mom and wife. 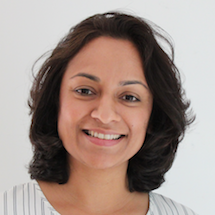 Manasi founded Nested Bean to help parents put their infant sleep challenges lovingly to rest. Seeking a solution to the sleep deprivation she experienced as a new mom, Manasi was inspired by scientific research that suggests the soothing effects of a parent’s touch can be temporarily simulated with Deep Touch Pressure. She designed a revolutionary infant sleepwear line lightly weighted to mimic that gentle touch—and help extend the wide array of health benefits associated with it. Encouraged by overwhelming customer response, Manasi is committed to leveraging her company’s platform to promote infant sleep wellness with new parents, everywhere.